Planning to shift from your usual gas stove to an induction based cooktop? If yes, then Prestige induction chulha would be an ideal choice to go after. Why? Well, just to start with the brand does not need an introduction. 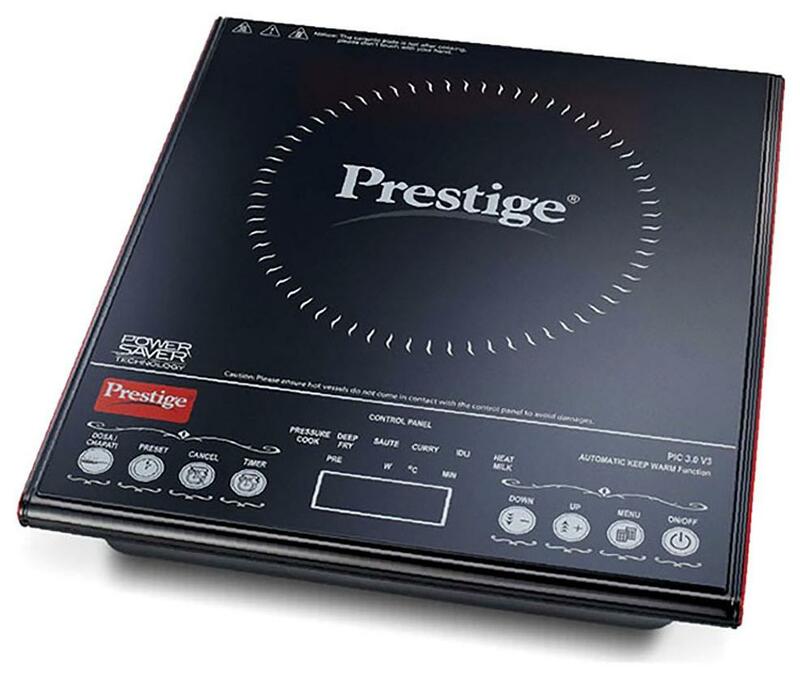 Prestige is one the most reliable and trusted brands when it comes to the buying of any home appliance. 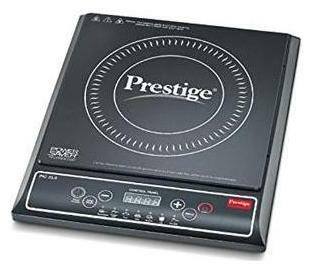 We have listed out some the latest models from prestige induction cooktops, along with their respective prices and offers on them. We recommend you to bookmark this page as we will be updating this page with latest offers on prestige induction chulha online. Why Induction Chulhas and Cooktops are getting popular? Is it Safe To Use Induction Chulhas and Cooktops? With every kind of advancement happening in the society, cooktops can’t be left behind. Induction chulhas are the new cooktops in the market. They are fast and convenient, takes less space and do the same job in a faster process. The whole concept of induction cooking works upon a process called electromagnetic induction, which is more cheaper and efficient than a gas stove. It is a safe process and can be used by anyone. The reason induction chulhas or cooktops are preferred more nowadays is simply because of the following reason. 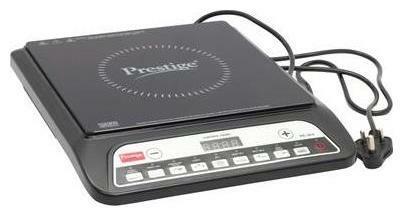 Price: You can find a variety of induction cooktops starting from a price range of 2000 rupees till 25000 and above. 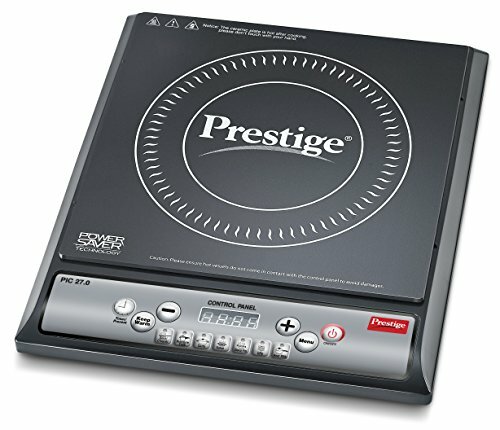 With a variety of features offered in every induction cooktop, the price varies accordingly. Cooking Space: An Induction chulha requires much less space than compared to a usual gas cooktop. All you need an electric switch to power it up and it is good to go. Intelligent Cooking: When everything is already configured in your Induction chulha all you need to do is place your raw dish and press the button according to your dish. The watt and the amount of induction heat required will automatically work for you. The control panel offers a variety of options with pre-saved setting according to various snacks and dishes one can cook on it. Easy to Clean: Induction chulhas comes with a glass panel which is easy to clean off once you are done with cooking. There are five types of induction chulhas available in the market. 1. Single Portable Induction chulha: As the name suggests single induction chulha comes with one burner only and it won’t be useful if you want to cook multiple dishes at a time. Single induction chulhas are preferred majorly by bachelors or a family of two members only. 2. Multiple Induction chulhas: In these, you will get more than one burner to cook. It makes the cooking process faster and convenient when you have to cook more than one dish. 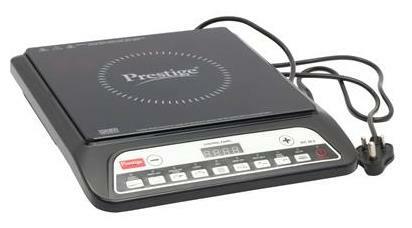 It saves times but as it offers more functionality it is more expensive than a single burner induction cooktop. In terms of size, it will take more space in your kitchen. Such type of induction chulhas is recommended for a family of more than two people. 3. Built-in Induction chulhas: These types of induction chulhas are more preferred if you have a modular kitchen. These are expensive to set up but gives a neat and clean look to your cookstove. The upper part is visible while the rest of it is placed inside the cutout. 4. Freestanding Countertop chulha: This type of induction chulha offers multiple options in terms of multiple-burner and ovens. It can be used for cooking a large number of dishes at a time. 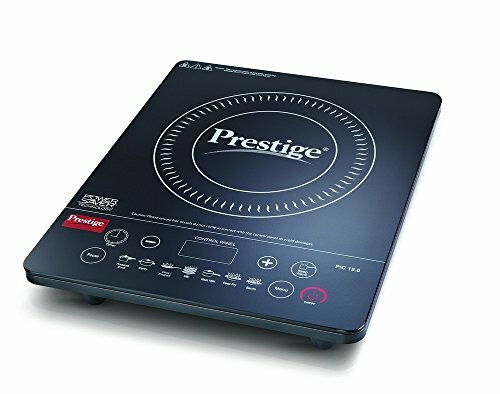 These induction cooktops come in various color options and can be used for home and commercial purpose both. 5. Commercial Induction chulha: As the name suggests, these induction chulhas are specially configured and manufactured considering the commercial usage. When you have to cook multiple dishes at the same time, these commercial cooktops do a great job and makes the job less tiring. The price is range is costly as it serves the purpose of commercial use. In terms of fire, it is very safe as it does not produce any fire. The heating is produced due to the magnetic field created on the ceramic plate when cookware with magnetic base comes in touch with the induction base. However, there are some theories about the magnetic field generated from the induction cooking and people have some doubts about it. As a tip: It is recommended to switch on the induction base only when you have placed cookware utensil above it while not allowing an unnecessary generation of a magnetic field and thereby not getting exposed to such magnetic field. There are multiple prestige service centers available across India. To locate a local service center in your city check out their page here. You can also reach out on their prestige toll free customer care number at 1800-123-334411. BSNL and MTNL customers can use this 080-3756-9897 (toll). Assuming that you have single burner Induction chulha, we will explain the step-by-step process to use your prestige induction chulha. Please note: Below instructions are in general and may vary from model to model. We recommend you to go through the respective instruction manual provided along with your brand new prestige induction chulha. Step 1: Place your induction cooktop in a spacious area away from any other electronic appliance. Make sure it placed on the dry and non-metallic surface. Step 2: The plug socket should be easily in reach. Once plugged in, switch on the button and a beep sound will be heard. Step 3: Now place your cookware utensil on the induction plate. Generally, the magnetic field is in the middle of the cooktop. You will find design is marked around the magnetic plate to indicate the placement of the vessel. Step 4: Now once the utensil is placed, you can choose the function/cooking mode as per your dish on that day. There are various modes available on the control panel for example pressure cooker mode, deep fry mode, chapati mode, milk boil etc. These options will vary according to the model of induction cooktop you have. Step 5: Once the heating process starts, rest is the same as you do your cooking on a gas stove. Please note: The cooking process is faster than a gas stove, so you might have to keep a check on your dish as it might get cooked faster than the usual time taken on a gas stove. Also, there’s a fan underneath your induction chulha, make sure it turns off before you turn off the main power cable once you are completely done with your cooking. The cleaning process recommends few guidelines to follow. Step 1: Switch off the induction chulha and make sure you have unplugged the wire. Step 2: Make sure the plate/the cooking surface area is cool. Do not clean the surface while it’s still hot. Step 3: Do not wash Induction chulha under running water. Step 4: Once it has cooled down, use a sponge or wet soft cloth to clean the surface. If it cannot be cleaned with water, you can use mild detergent as well.